Weather in Daytona Beach, FL where Tyler N. Travis is a student at Embry-Riddle Aeronautical University. Weather in The Bronx NYC, NY where Michele Travis is a student at Fordham College. Weather in Key Largo, FL, winter home of Donald and Irene Travis. Weather in Shohola, PA, summer home of Donald and Irene Travis. Weather in Rapid City, SD, home of Carol Travis Veldhuizen and her family. Weather in Boston, MA, home of John Travis. Weather in Bar Harbor, ME. I've been there a few times over the years and have great memories. 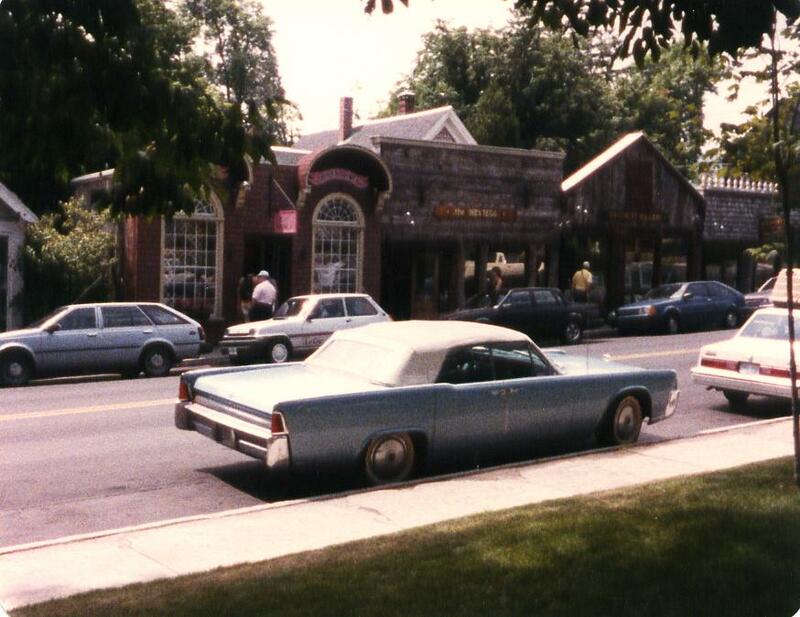 Here is a picture of my 1964 Lincoln Convertible parked across the street from The NestEgg and other Bar Harbor shops in 1985.